NEW YORK (Reuters) – Jewel’s rise in the music world from the Alaska frontier to first-name-only star is almost unbelievable: Girl endures an abusive environment, becomes homeless – and then not only survives, but reaches the pinnacle of her profession. Now 43, Jewel (born Jewel Kilcher) is branching out with a business based on the mindfulness tools she used to survive that harsh upbringing. 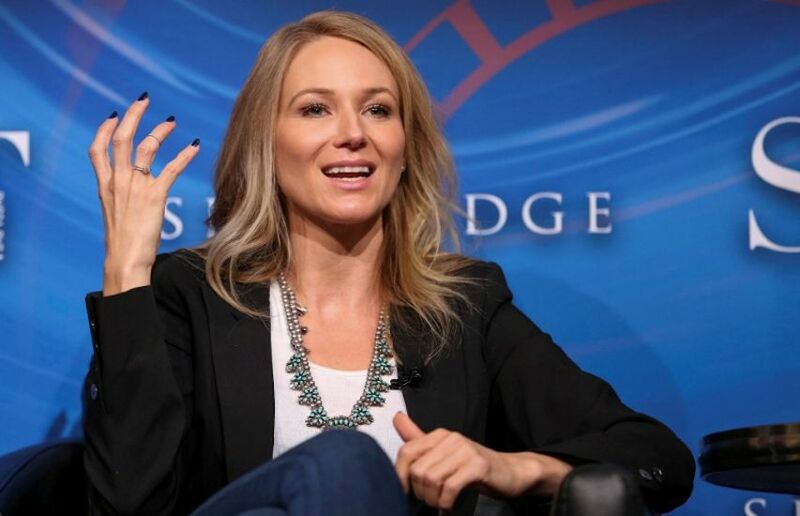 For the latest in Reuters’ “Life Lessons” series, Jewel sat down to share some words of hard-won wisdom. Q: Who was passing along life lessons back in Alaska? A: Nature, and books, and pain. My mom left when I was eight, and my dad took over raising three children, and he was an abusive alcoholic. In Alaska you are often parented by nature. It teaches you how to be human. In those kind of extreme environments, you don’t eat unless you killed it or canned it. So there is a lot to overcome, but it also teaches that if you work hard and put your head down, you can get anything done. Q: What did living out of your car teach you about money and survival? A: Most people think that period was because I was pursuing my music career, but that’s not quite true. My boss propositioned me, and when I turned him down, he fired me. So I lived out of my car for a couple of months, but then my car got stolen. I got sick, I had panic attacks, I almost died of blood poisoning. That’s when I started stealing a lot. When I was 18 and homeless, I saw a reflection of myself in a mirror, and knew that I had become a statistic. At that point I decided to turn my life around, based on a saying of Buddha: Happiness doesn’t depend on who you are or what you have, it depends on what you think. Q: What was it like going from that life, to one of success and wealth as a musician? A: I almost didn’t sign my record deal, because I was scared. I actually turned down a million-dollar signing bonus. I did take a portion of the back end, though, in case the record ended up making money. Q: How are you turning this interest in mindfulness into a business? A: The website (jewelneverbroken.com) is a nonprofit and free to the world. It’s an emotional fitness destination, where people can access simple mindfulness tools to create change in their lives. As a mom, I didn’t want to be totally dependent on touring to make a living. I still wanted to make music, but I also want to help people with their pain in other ways. So one part of my business will be B2B, working with Zappos.com to create the next frontier of corporate culture. Another aspect will be schooling, for how people can achieve fitness in their emotions and parenting and finances. I’m also creating a curriculum for students with mindfulness baked into it, so kids with addictions or anxiety can become the architects of their own lives. Q: How do you decide where to devote your charitable dollars? A: I founded Project Clean Water back in 1997, because when I had been homeless, I had bad kidneys and couldn’t afford bottled water. If we are not able to drink our tap water, we’re all in trouble. I also founded the Never Broken Foundation, to help people with emotional health and mindfulness. Q: How does crafting fit into your latest tour, “Handmade Holiday,” which kicks off on Nov. 24 in Las Vegas? A: What I see in our culture is anxiety, and families breaking apart, and people feeling incapable. So with this holiday tour I wanted to promote the values of self-sufficiency and connectedness and industriousness. So there is crafting during the day, where you can learn how to make things for yourselves and create memories with your family. Q: As a single mom of a 6-year-old son, any advice for other single parents on how to thrive emotionally and financially? A: You have to let go of the myth of perfectionism. Single parents always feel like a failure, if they are working and raising a child at the same time. But you are not a failure, and you don’t have to do things perfectly. Remember your kids are watching you, and it’s okay to let them see mistakes. This is real life, and we’re all responding in real time. Previous: Are you prepared for a fire in Santa Monica? Next: Pedestrian and traffic related deaths up in Santa Monica, What is City Council doing to protect you?